RegAMoney.com: These days, there’s a certain amount of negativity and naysayers regarding Regulation A+ offerings. Some are pointing to the drop in stock prices of many Reg.A+ issuers and wonder about its sustainability. The Reg.A Money Show podcast however understands the potential of Reg.A+ and continues to be bullish on its future. We maintain that Reg.A+ has leveled the playing field! 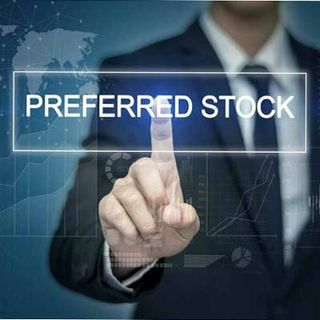 Our listeners are coming from all over the world listening to the Reg.A Money Show, asking questions and ... Maggiori informazioni seeking advice (such as the question we answer in this podcast regarding preferred stock). As such, we are looking forward to working with the Crowdfunding Professional Association to continue to move crowdfunding forward in a positive light, just like the Vegas Golden Knights have proved the entire NHL hockey community wrong when everyone said the team would be a disaster in its first year. Instead, just like we predict Reg.A will do, they’re proving all the naysayers wrong! In fact, the Golden Knights are currently in their Conference Finals, just one step away from the Stanley Cup! All Reg.A+ bandwagon fans are welcome when it proves just as successful as the years go by. The Reg.A Symposium will certainly go a long way in fostering that growth. Anyone involved with Reg.A is encouraged to attend.